and elevate the human spirit. 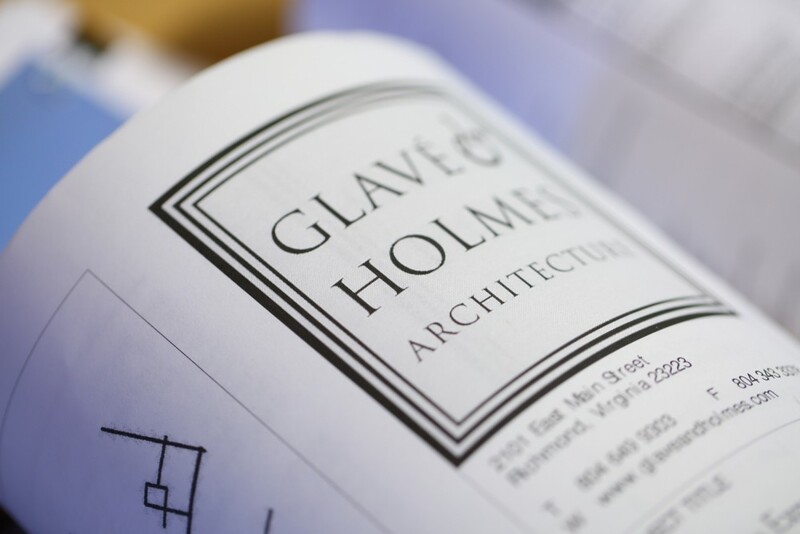 A NATIONALLY RECOGNIZED ARCHITECTURE, interior design, and planning firm, Glavé & Holmes Architecture was founded in 1965 in Richmond, Virginia. 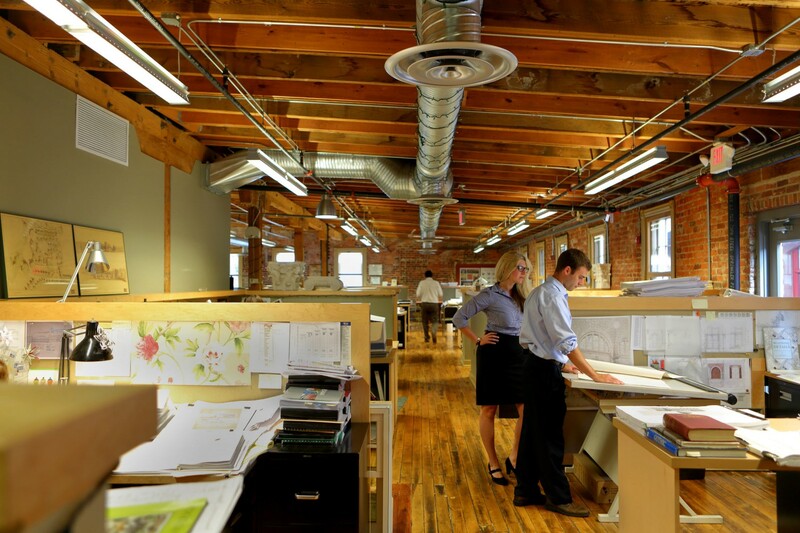 The firm of 70 architects, interior designers, historic preservationists, and supporting staff, maintains a diverse and integrated portfolio demonstrating expertise in numerous market areas, including Higher Education, Cultural, Civic, Hospitality, and Residential. 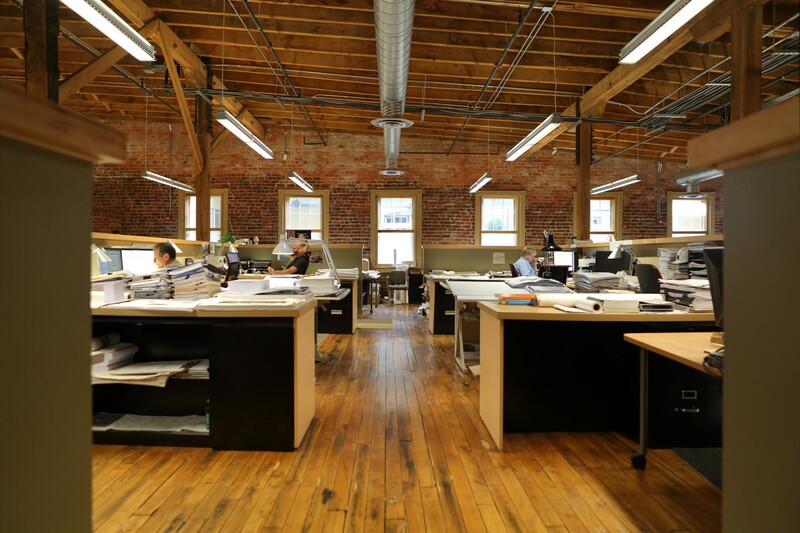 Clients are provided with comprehensive services whether projects involve new buildings, additions to buildings, renovations, or adaptive reuse. G&HA upholds an ongoing legacy of creating highly functional, context-specific designs that fit into the cultural and historical milieu of a given community. Extensive experience and talent conjures the historical and architectural values necessary to create a desirable and lasting impact. Our firm regards architecture as the art of serving the highest and best aspirations of people. It is the most conspicuous and useful of all the arts, and the most complicated and enduring. From start to finish, success involves working with the broad range of people from owners who have a direct interest and the general public whom the project will affect even when it will serve a private purpose. In each of our projects we seek to enhance the lives of those who will use our projects by improving any place where we will build anew or modify what exists. For this we work closely with clients and with the builders, public officials, and others who are involved in every project. Together we can assist in building an elegant and valuable city and an inspiring and beneficial countryside. We are stewards of the places where we live and build and of the natural world that furnishes us the things we need for building. Sustainability is a constant priority, and so are beauty and the aspiration for a just outcome of our work for all of those who are involved in bringing a project to completion. 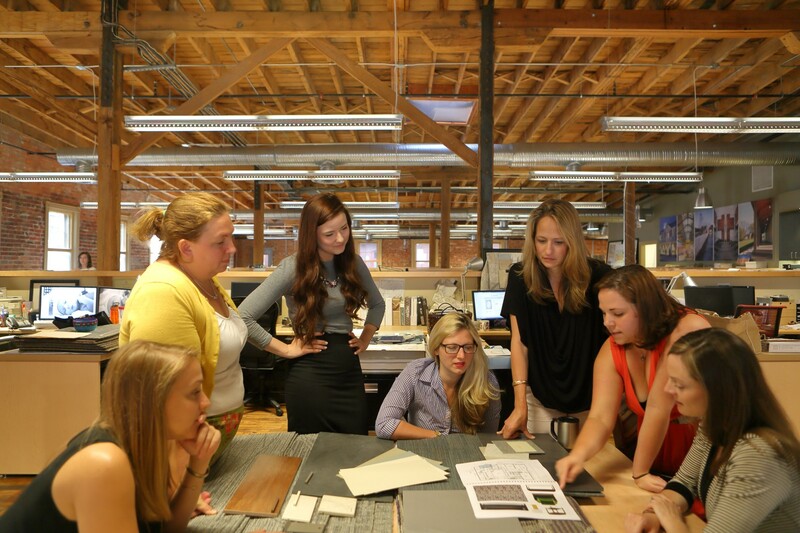 TO BE EFFECTIVE STEWARDS of their clients’ vision and budget, G&HA has developed a refined and participatory design process for projects across all markets and offers a complete slate of services including Architecture, Historic Preservation, Planning, Interior Design, Adaptive Reuse, and Feasibility Studies. Great buildings go beyond the requirements of functionality, responsiveness and cliché aesthetics. Great buildings address the full human condition – cerebral, emotional, even spiritual – and are expressive of the human aspirations that inspire them, resonant with the traditions of their culture while translating and re-interpreting them for future generations. Therefore we strive to create context-specific designs that fit seamlessly into the cultural milieu of a given community or place while creatively addressing the functional needs of the end users. To best arrive at a shared understanding of the values that support a curatorial role to place-making, we employ a collaborative process that involves the client, the stakeholders and the various disciplines in a dynamic exchange of ideas and concepts. We pursue an architectural aesthetic that is based upon clarity, invention and resonance. We seek designs that link themselves to the long traditions of timeless buildings and places, reaching out to the past, the present, and even the future. 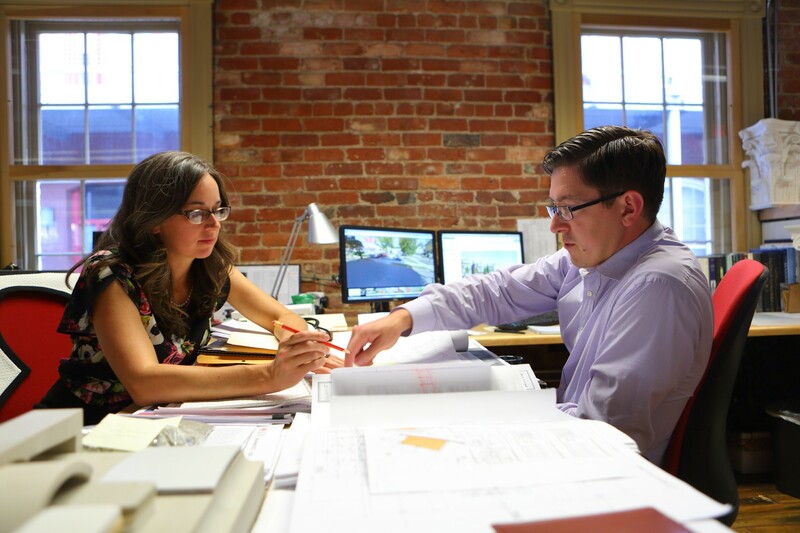 G&HA is known for its profound commitment to and experience in historic preservation and restoration. Founder Jim Glavé was instrumental in saving many historic buildings in Richmond’s core and his influential work has led to five decades of participation in projects involving historic preservation and adaptive reuse, including more than a dozen National Historic Landmark properties and numerous facilities associated with Landmark properties or districts. 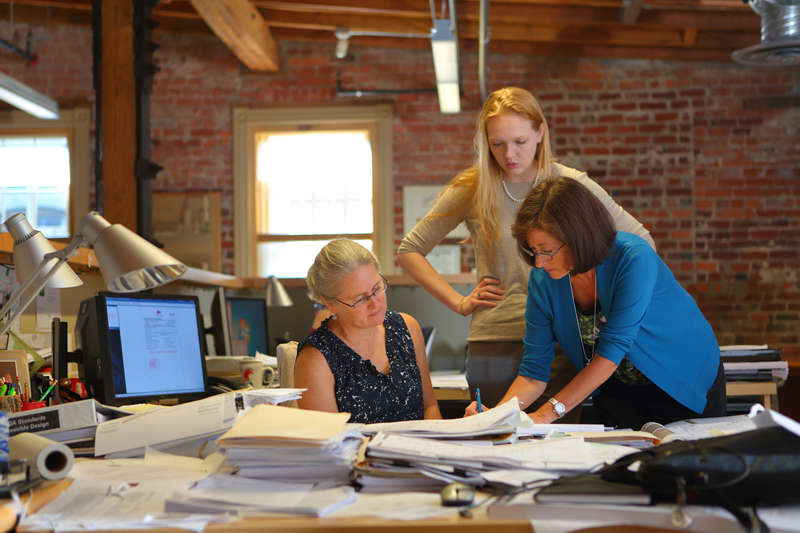 G&HA’s staff includes architectural historians and architectural preservationists. The firm has completed numerous Certified Historic Rehabilitation projects, successfully earning Historic Rehabilitation Tax Credits to help fund many of them. 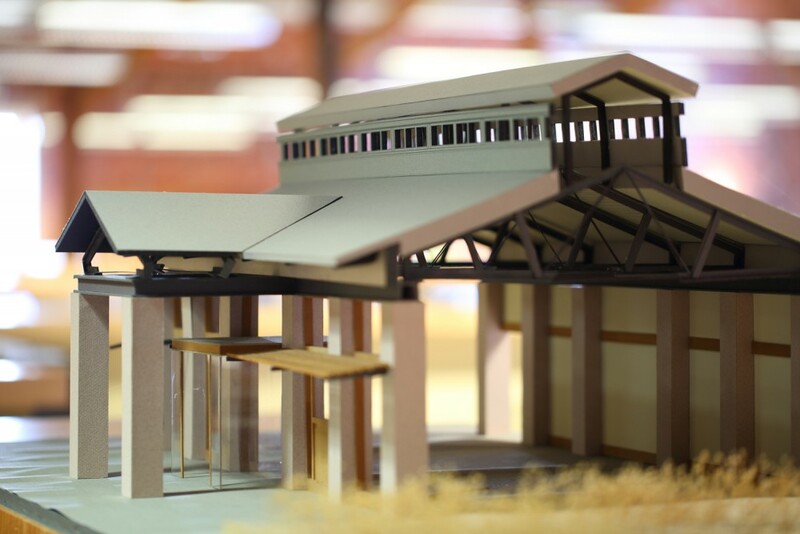 G&HA views planning, whether campus master plans, urban design plans, neighborhood developments or other planning initiatives, as a natural extension of our philosophical approach to design. We believe buildings are always seen in context and as such should contribute to the overall enhancement of a precinct, community or place. Planning is the synthesis of design elements involving natural and constructed resources – bringing together landscape designs, sustainability initiatives, building guidelines and economic parameters to establish a framework for places people enjoy. Our experience involves planning for resilient and sustainable connections to neighborhoods, cities, and regions. Cultural sites and educational institutions are shaped for lasting impact, and public and private spaces are shaped to enhance public discourse and the vitality of a place, regardless of location or scale of the project. 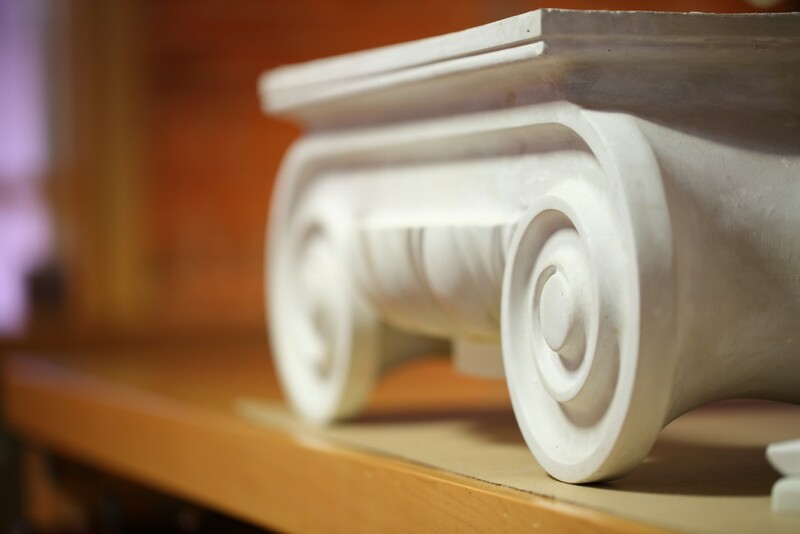 Strong ties to architecture and preservation are paramount. 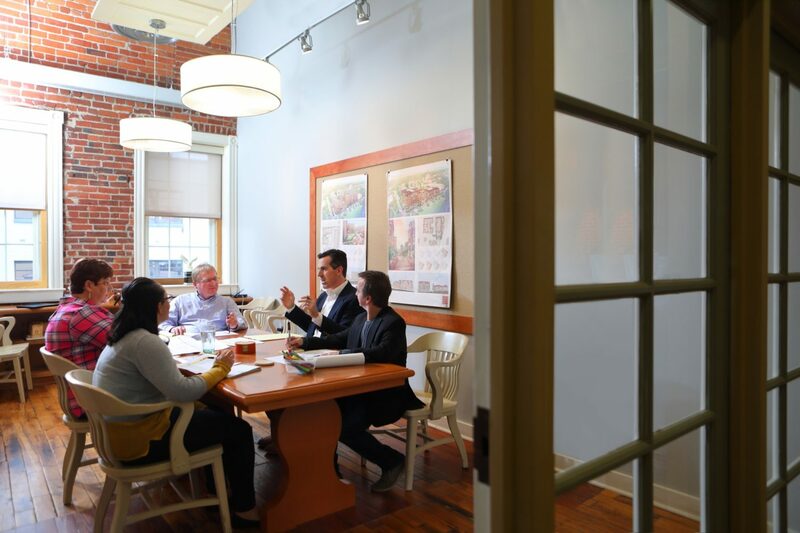 The planning professionals on staff are leaders in their knowledge and implementation of Smart Growth and LEED principles and serve to uphold the firm’s legacy of renewal and rehabilitation as a civic duty. In the places we love, architecture and interior design are woven together in a seamless and integrated fashion. Our interior designers, who are multi-faceted experts in their field, partner with clients and the architectural team to provide a completely interfaced and exacting program. From conceptual development to management to execution, the interior design for every project places emphasis on functional planning and discernment of how environments affect and influence the people who use them. Numerous projects have garnered media attention as well as local, regional, and national awards. Along with planning and preservation strategies, Adaptive Reuse offers opportunities for conservation and creative thinking both architecturally and technically. 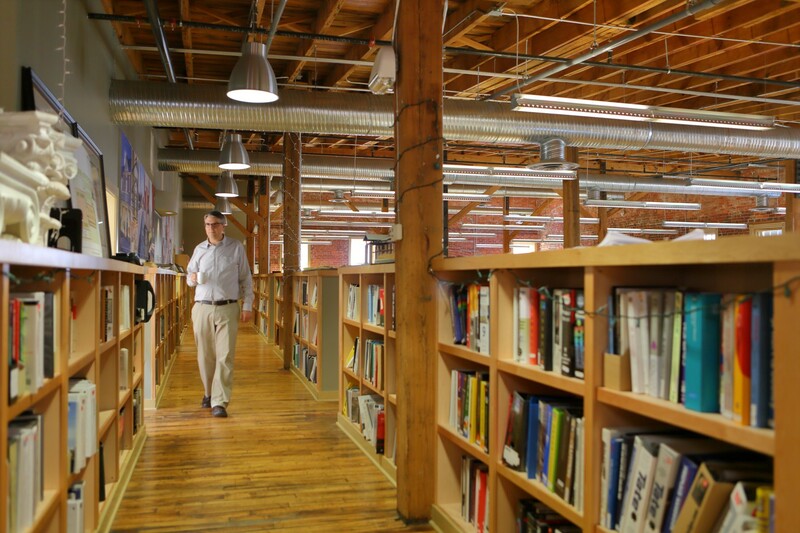 G&HA has deep-rooted experience with adaptive reuse projects at every scale, and is known for addressing the unique architectural, preservation, and environmental challenges that accompany such projects. 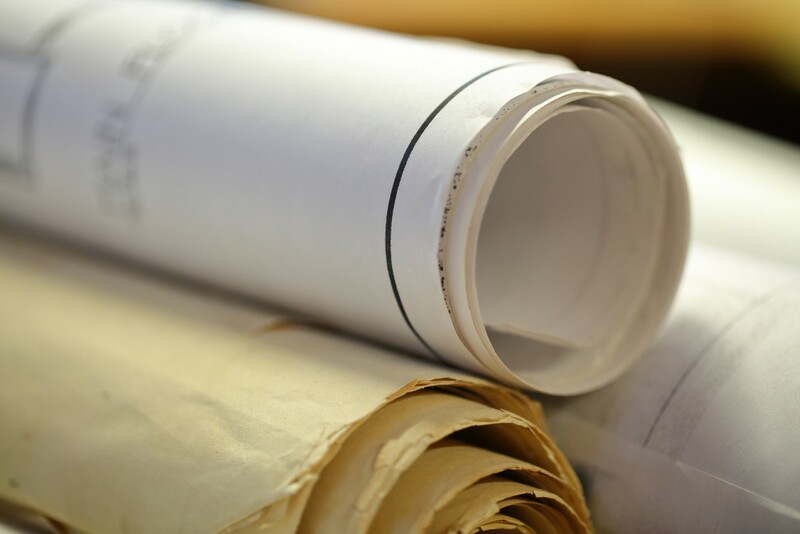 Feasibility Studies are an opportunity to carefully evaluate the alignment of programmatic needs, site and building potential, (and assessment of existing structures where relevant) and required resources early in the process of determining whether a potential project can achieve desired results. G&HA excels at a common sense approach to defining and clarifying the scope, range, and cost of proposed projects. 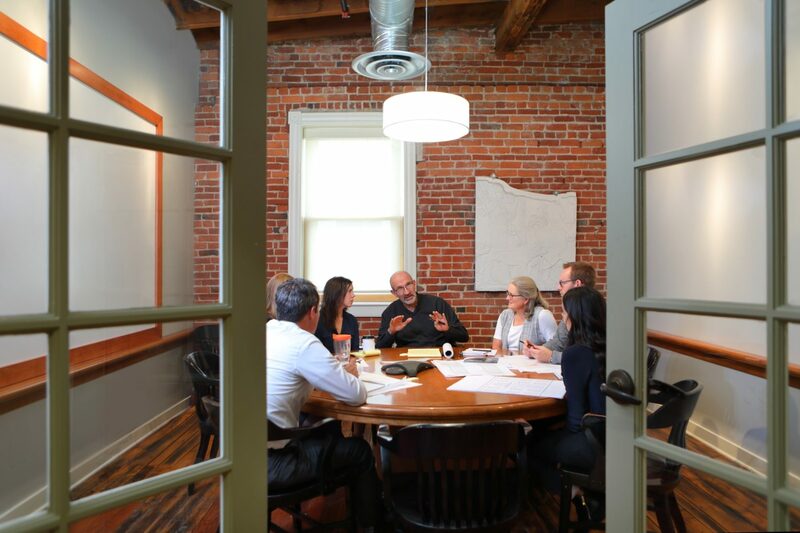 The team works with stakeholders to create, analyze, and evaluate alternative options and deftly guide decision-making towards a course of action and desired outcome. 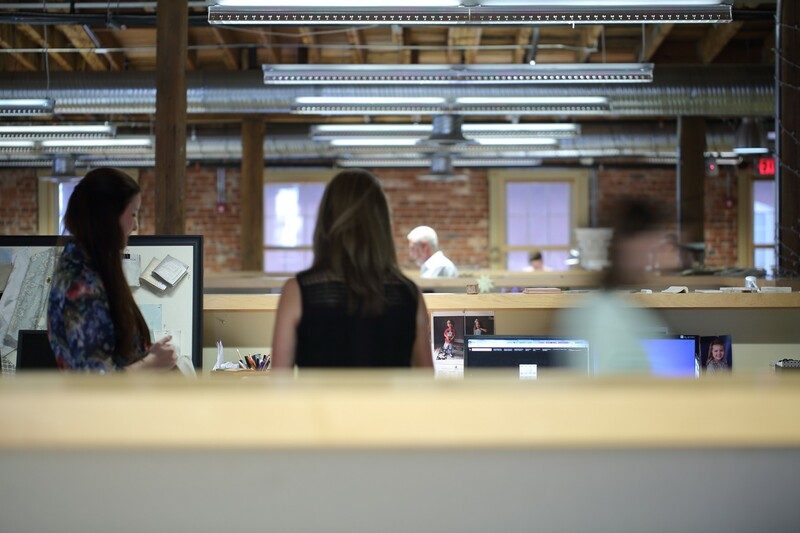 G&HA BELIEVES strong, principle-focused leadership is essential if we are going to advance our mission of bringing the true, good and beautiful to bear in the design of good projects that serve our clients and our generation well. Leadership is collaborative at G&HA, comprised of key talented individuals – Senior Principals, Principals, the Directors of our Studios, and the Directors of Operations and Human Resources, Marketing, Quality and Technology. These personnel, noted below, are deeply experienced in the industry as well as in their specialty areas. They are not only designers and leaders, but serve as mentors and teachers in the office, within their studios, in the classroom, and in their communities. Collectively, they share a vision of creating great designs that elevate the human spirit. Randy Holmes is the President and Senior Principal at Glavé & Holmes Architecture (G&HA), an award-winning studio-based firm of 60 architects, interior designers, historians, and supporting staff that specializes in civic, commercial, community, cultural, higher education, hospitality, and residential projects nationwide. 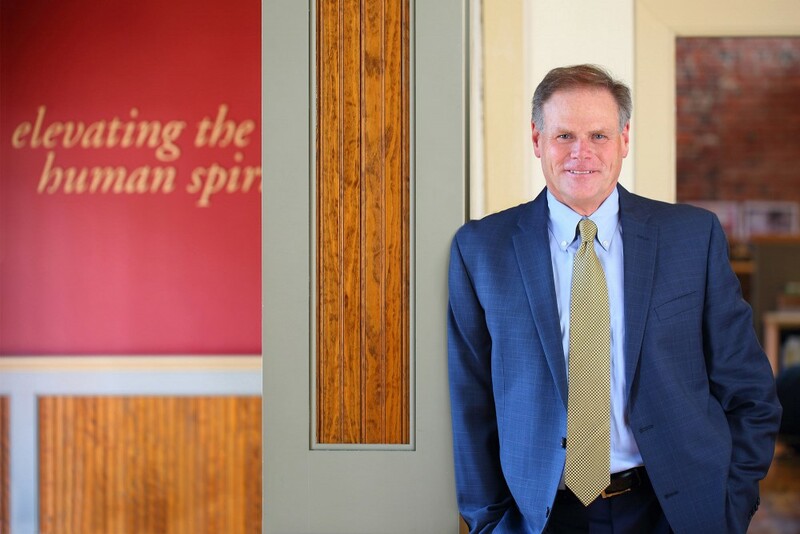 In addition to his leadership of the firm, Randy’s own expertise is in the design, renovation, and adaptive reuse of historic buildings or projects in unique settings. Several prominent G&HA accomplishments, such as Christopher Newport University’s new campus buildings and master plan; William Smith Morton Library at Union Presbyterian Seminary; the Morven Carriage Museum; and buildings on the campuses of the Lewis Ginter Botanical Garden, the Jamestown Settlement, and at historical Colonial Williamsburg serve as abiding examples of Randy’s design excellence and contextual understanding. Randy is originally from South Hill, Virginia and attended the University of Virginia for both his bachelor and master degrees in architecture. 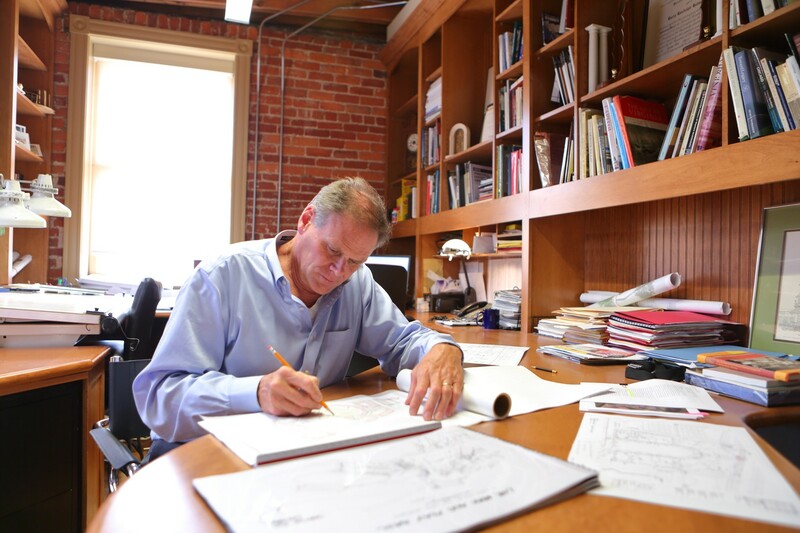 He is licensed in Virginia and the Carolinas and has received recognition from Architectural Digest, the Virginia Society of the American Institute of Architects, and American School & University among others. He regularly speaks about the importance of architecture at conferences and other venues throughout the country. Intrigued by architecture from an early age, Lori Garrett studied math and art at Messiah College in preparation to pursuing her graduate degree in architecture at the University of Virginia. Since then, her career in architecture, which spans nearly 30 years of high-level work on a range of building typologies, has led her to a number of leadership and mentoring positions, particularly in advocacy for women and minorities, and for young practitioners and students. 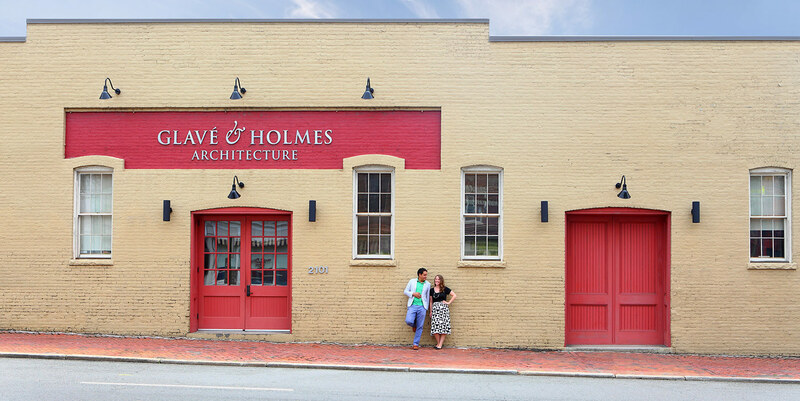 Formerly a founding principal at Smith Garrett Architects in Charlottesville, Virginia, she joined Glavé & Holmes Architecture (G&HA) as an Associate in 2003 and was named a Director shortly thereafter. 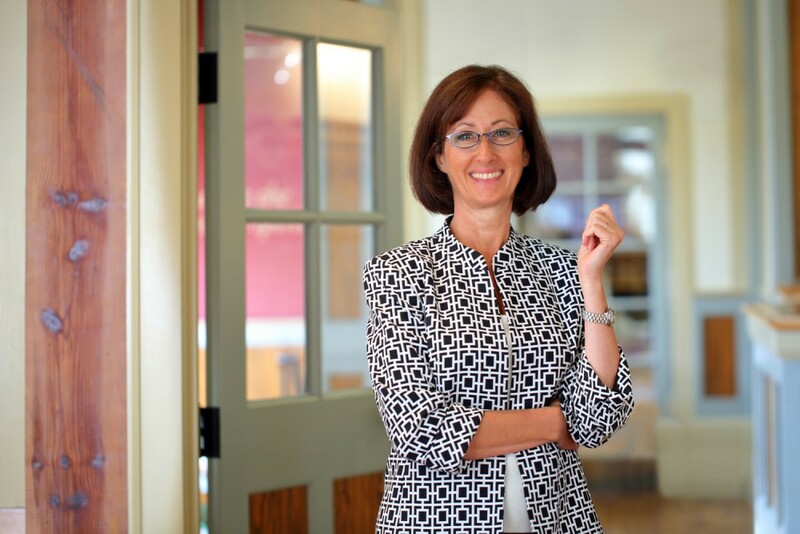 As director of one of G&HA’s higher education studios, Lori leads design teams focused on building campus community and supporting the academic mission of colleges and universities. An accomplished architect, her work has elevated the architecture of higher education through its focus on context, sensitivity to mission, and celebration of campus heritage. Her deep-rooted values of collaboration and stewardship of culture and resources guide her as she instills timeless quality, economic efficiency, and environmental sustainability in every project. 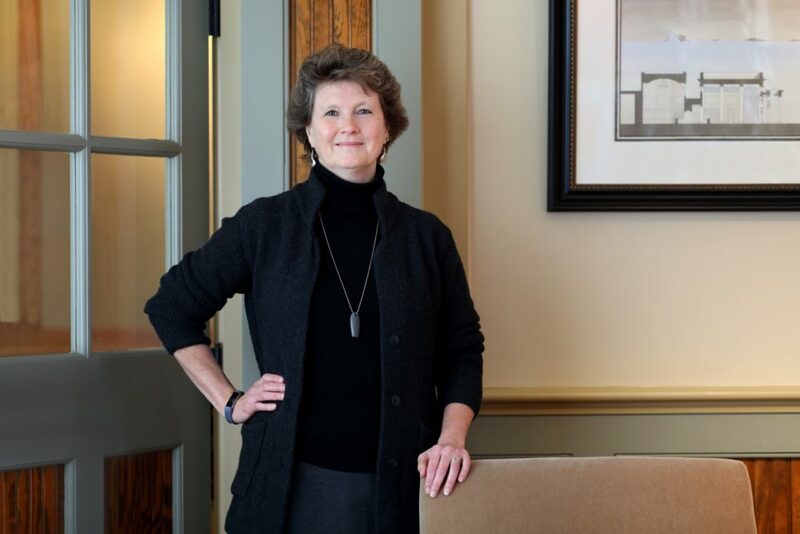 Since 2007, when Lori became G&HA’s first female owner in the firm’s 50-year history, she and her fellow partners and directors have steadily built the firm from 28 to 60 employees. Lori’s experience and influence make her a sought-after speaker, panelist, and moderator at industry conferences. She also participates in design juries across the nation, and has received national, regional, and local design awards. When not working, she loves to be with her family, traveling the world, and watching college basketball. In her multi-faceted oversight role, S. Jeanne LeFever is the Director of Human Resources & Operations at Glavé & Holmes Architecture (G&HA). She manages the firm’s physical plant, human resources, all the business aspects of the firm, and works in tandem with the rest of the leadership team. Jeanne began her affiliation with G&HA in 1996 as a Project Architect and then moved up to project management, then Director of Architecture. During this part of her career, she contributed to many noteworthy projects including the Lewis Ginter Botanical Gardens Education Building in Richmond; multiple projects at the five-star Homestead Resort in Hot Springs, Virginia; The Darden School of Business at the University of Virginia; and the Kappa Sigma Fraternity International Headquarters (also located in Charlottesville). Before joining G&HA, she worked on a number of ecclesiastical buildings and a variety of other project types in Central Virginia. Originally from Plainfield, New Jersey, Jeanne holds a BFA from Wells College. She received her Master of Architecture from North Carolina State University and also studied at the University of Florence, Italy. Jeanne is a singer, photographer, and a gardener who aspires to making more time for her own artistic pursuits. As further balance to her professional life, she gets outdoors as much as she can and spends time with her family and friends. After a gap year of travelling in Europe and working for a custom furniture builder, Andrew decided that his path led to a degree in architecture from Virginia Tech. 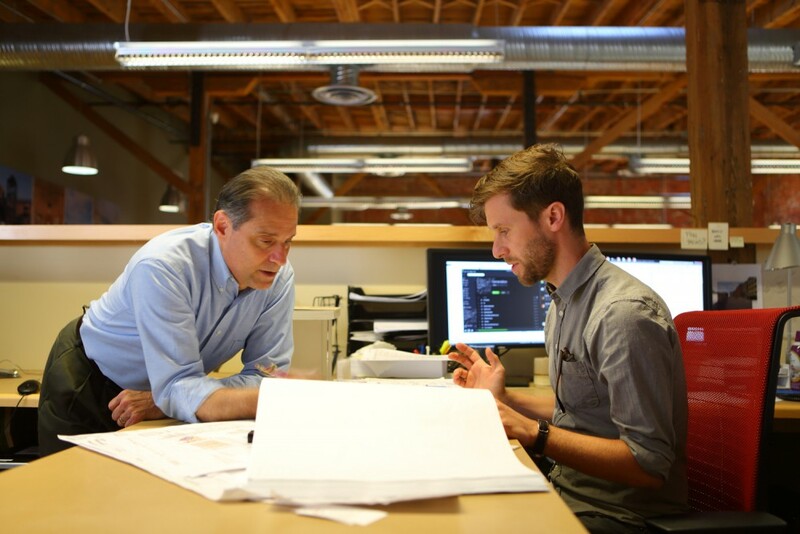 Andrew began his career with Glavé Newman Anderson (now Glavé & Holmes Architecture) under the tutelage of Pete Anderson and Jim Glavé. 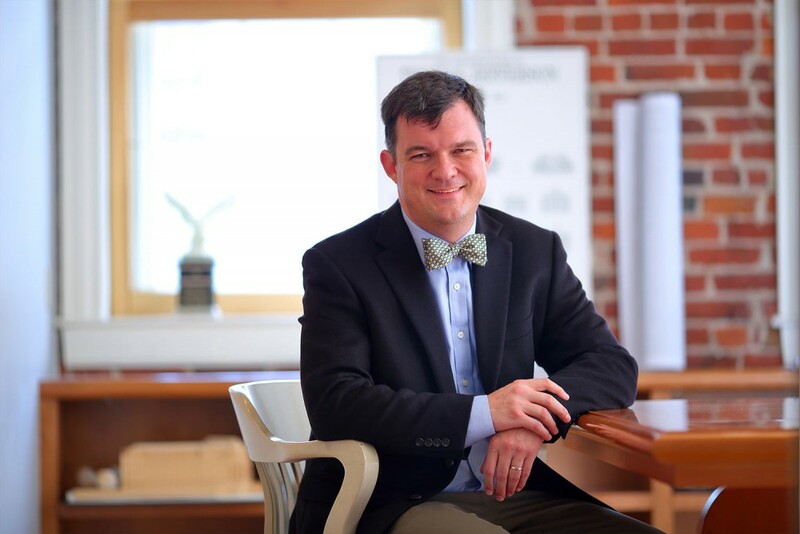 Following this introduction to the profession, Andrew spent the next decade in a number of Richmond-based firms and gained extensive experience working on commercial, industrial, healthcare, aviation, and residential projects along with a brief sojourn in museum exhibit design. Returning to G&HA in 2004, Andrew has spent the second half of his career, along with his colleagues in the Urban Architecture Studio, continuing the legacy of Jim Glavé and his love for the city. 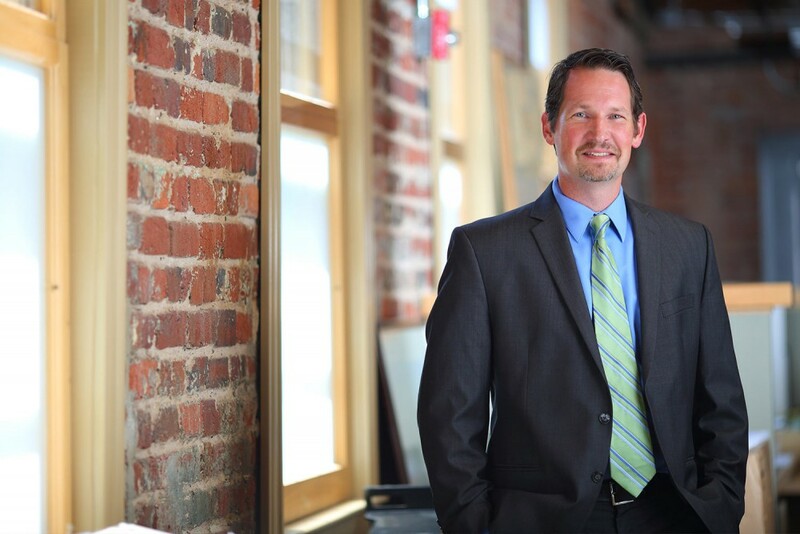 Andrew is licensed to practice architecture in Virginia, Delaware, and California and is an accredited professional in the United States Green Building Council’s Leadership in Environmental and Energy Design (LEED) system. Andrew is also a founding Board member of the Storefront for Community Design and serves as President of the Partnership for Smarter Growth. He is a frequent speaker on topics related to urbanism, Smart Growth, and design. When not working or spending time with his wife and three daughters, Andrew enjoys sketching as a way to slow down, see the world around him and hone the time-honored discipline of drawing. Steven Blashfield, Principal and Director of the Cultural Studio, joined Glavé & Holmes Architecture (G&HA) in 2009. 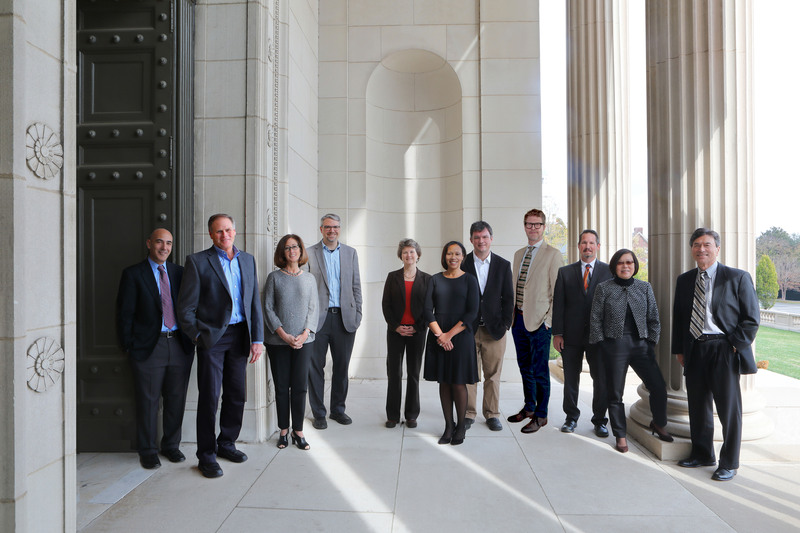 A specialist in historic preservation, he leads a team of talented architects who are responsible for museums, historic sites, and ecclesiastical buildings. Although Steven grew up in Gainesville, Florida, he has lived all over the United States. He attended Clemson University where he received his undergraduate degree in architecture before traveling west to the University of Oregon. While there he completed two Master degrees, one in Architecture and the other in Historic Preservation. He also attended the certificate program for Historic Preservation at the University of Florida’s Preservation Institute: Nantucket. Ever since, Steven’s own working philosophy is firmly grounded in historic preservation and sustainability. 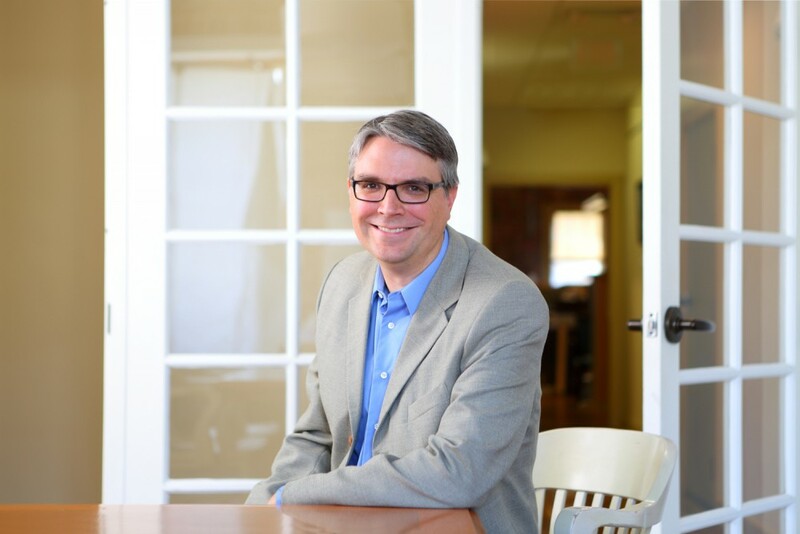 Steven’s ongoing commitment has developed a strong reputation for the firm as experts in historic preservation, and has made G&HA a leader in the Southeast and Mid-Atlantic regions for cultural projects. 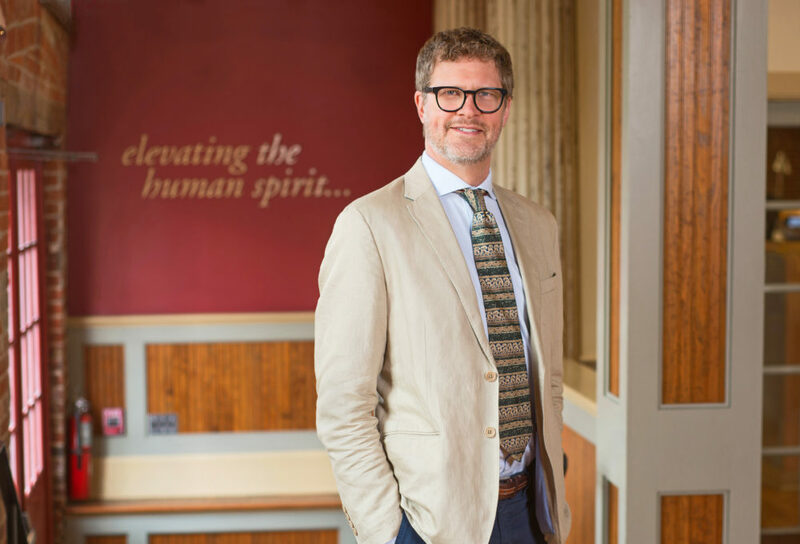 His leadership in the cultural sector was acknowledged with the 2015 Virginia Association of Museums’ Ann Brownson Award for exceptional service to the Virginia museum community. Steven enjoys living in the country and is developing his own 18-acre farm in Powhatan, Virginia. 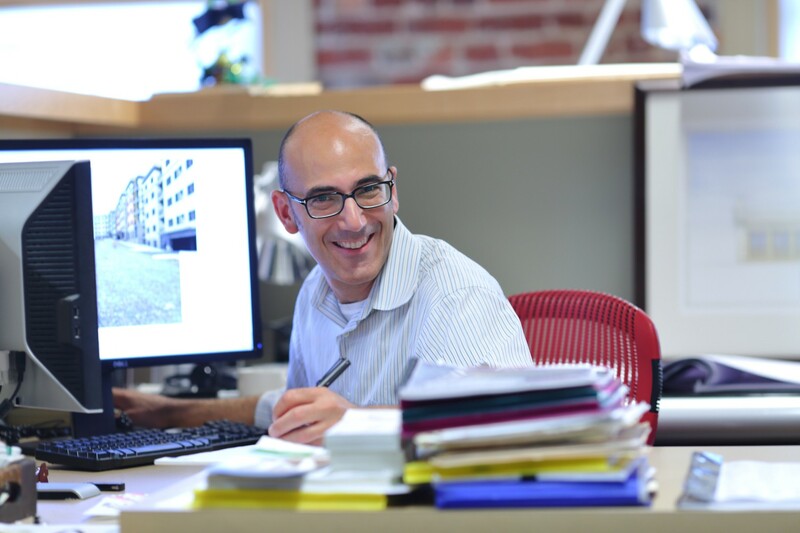 Robert Parise, Principal and Director of the Higher Education Studio, brings 20 years of professional experience to Glavé & Holmes Architecture (G&HA). He is an accomplished architect with a broad range of experience working with hospitality, cultural, and higher education clients. Rob received his Bachelor of Architecture from the Syracuse University and began his journey in the industry in New York. 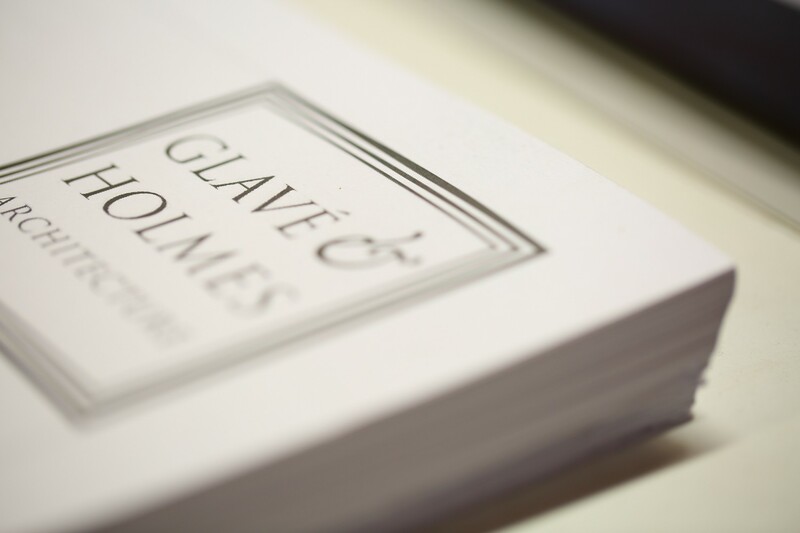 He moved to the Richmond area in 2000 and worked for two years with a local firm before joining Glavé & Holmes where he has spent the last 15 years growing with and helping the firm to grow. As an integral part of the Urban Architecture studio, he gained experience working as a project architect and project manager remaining dedicated to a particular project throughout its length and working closely with the design team to ensure that the project would meet the client’s requirements. Rob’s portfolio contains a wide array of project types, but he found his niche working on various student life buildings including dining halls and numerous residence halls. He enjoys the challenges and joys of delivering facilities where students are able to come together and collaborate. 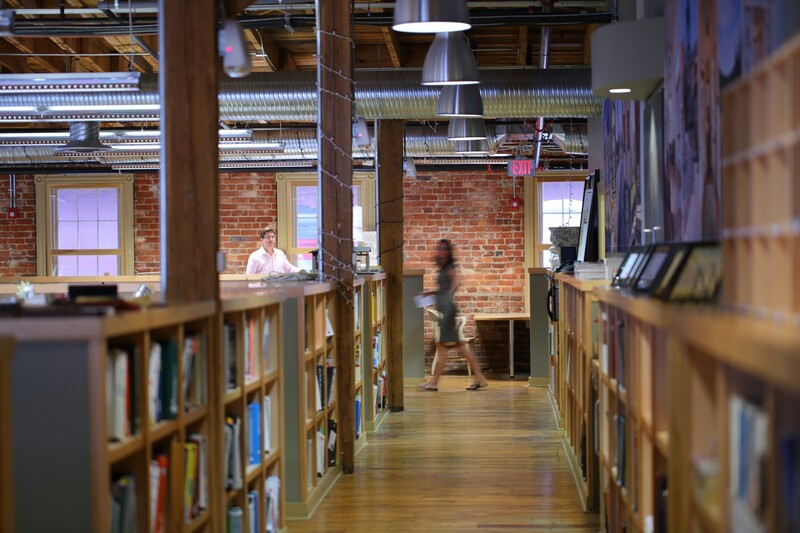 Finding balance reinforces Rob’s skill in creative problem solving whether in the design studio, working with his colleagues and clients, participating as a Board Member for the Virginia Downtown Development Association, or spending time with his family. 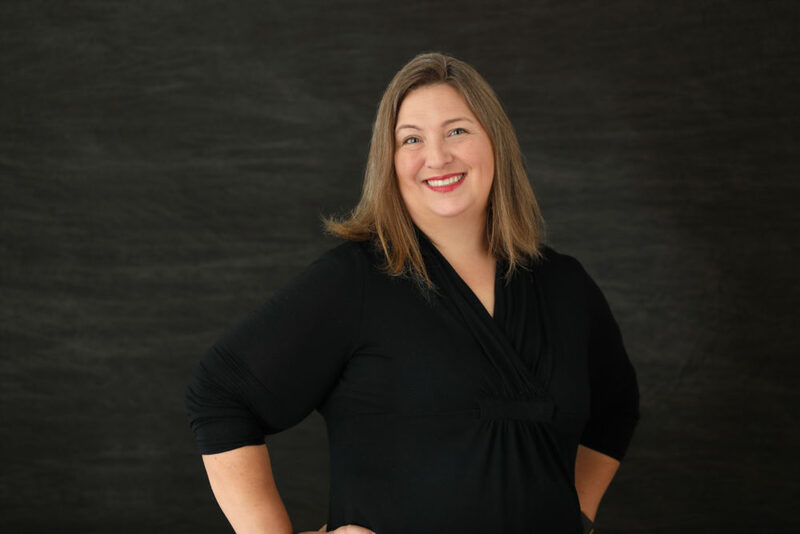 As a Certified Interior Designer, Jessica has extensive experience in project types ranging from hospitality, higher education, cultural, and institutional. She leads the Interior Design Studio at Glavé & Holmes Architecture and has been with the firm for well over a decade. Jessica is recognized and respected for her problem-solving skills and team-oriented approach. Her superior communication skills and her gracious manner naturally lead to a focus on client satisfaction. Jessica grew up in an 1890’s Victorian home in Vermont, thus beginning her love of old buildings. Her parents were entrepreneurs and small business owners and taught her the value of a strong work ethic and dedication. Jessica has carried that with her in her career and personal life. A self-professed serial creator, she is happiest in every moment she is creating – from building furniture and knitting to renovating early 20th century American Four-Square homes. Jessica’s strong base of design fundamentals, acquired while earning her Bachelor of Fine Arts in Interior Environmental Design from Cazenovia College, is complemented by her refined design sense and composure. She combines a keen eye for detail with a devotion to her clients to steward projects to their fullest potential. Her commitment to collaboration with all members of the design team continually produces beautiful results and delighted clients. She leads a team of 11 designers and strongly believes in providing ample opportunities for those around her to learn and grow. Eric A. Silinsh, AIA, Associate, joined Glavé & Holmes Architecture to lead the Hospitality Studio. As the Director of the Hospitality Studio, he oversees the firm’s efforts in the hospitality sector, including management of design projects and business development initiatives. With more than 20 years of design experience, Eric is an industry leader with expertise in designing unique hospitality properties that evoke clear stories about their place in specific neighborhoods or environments. In recent years, he has been involved in a number of hospitality developments throughout the East Coast, totaling over $330 million in value and over 770,000 square feet of proposed hospitality space. Before joining Glavé & Holmes, Eric was a Senior Associate at Robert A.M. Stern Architects in New York. He served as a Senior Associate and Project Manager for many of their hospitality projects including a master plan, additions, and renovations to a historic resort in coastal Maryland, as well as the North Market Street Hotel in Charleston, and the Island Resort in Kiawah. In addition to his experience at Robert A.M. Stern Architects, Eric worked for Payette Associates of Boston, and independently on a private apartment in New York City and a Tuscan farmhouse in Pienza, Italy. Eric received his Bachelor of Architecture degree from Carnegie Mellon University and studied abroad at Riga Technical University. He is a registered architect in the State of New York. Originally from Montross, a small town in historic Westmoreland County, Virginia, Crystal Newman-Jones attended James Madison University and holds a Bachelor of Arts in Human Communication and a minor in Political Science. A series of opportunities in non-profit, higher education, and healthcare organizations in the Washington D.C. area, including The National Association of Independent Schools and Georgetown University’s School of Nursing & Health Studies, marked Crystal’s early career and personal success. During this period, Crystal fostered her love for marketing and communications and eventually investigated other industries in which to hone her skills. She found her next opportunity at the Roanoke-based architecture firm of Hayes, Seay, Mattern & Mattern (HSMM), now a part of the AECOM family. 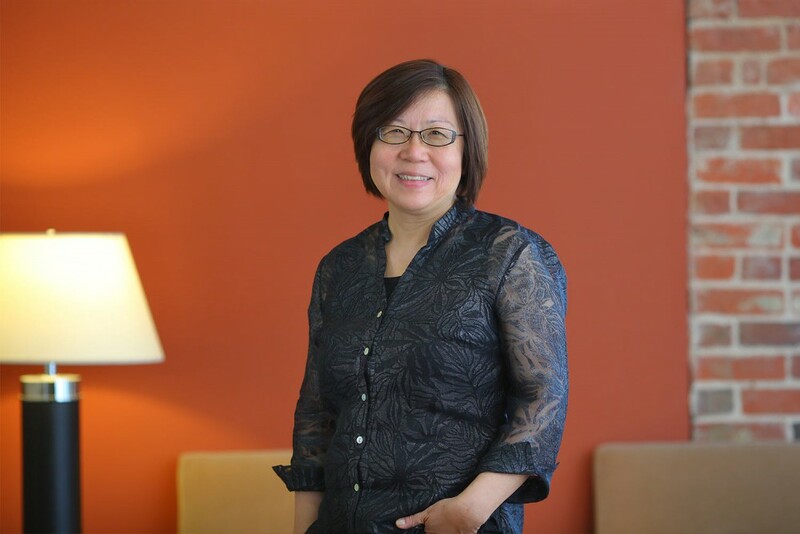 Winnie Ma Sung joined Glavé & Holmes Architecture (G&HA) in 2013. Originally from Hong Kong, she immigrated to San Francisco with her family when she was quite young. She credits the distinctive Victorian houses on Telegraph Hill that were so different from the concrete high-rises she experienced in Hong Kong as her earliest visual inspiration. 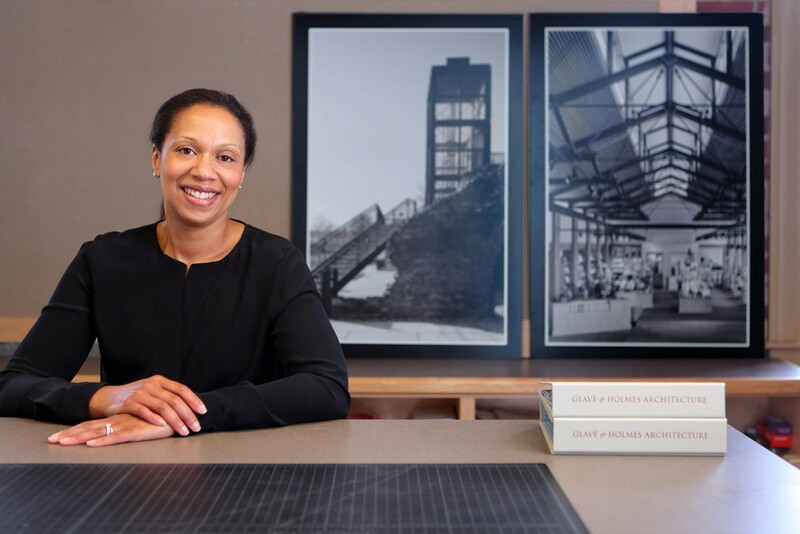 Prior to moving to Virginia, Winnie earned her Bachelor of Architecture from the University of California, Berkeley, and her Master of Architecture from the University of Michigan, Ann Arbor. In California, she became licensed and a partner in a small firm where she designed churches, offices, retail, mixed-use developments, and houses. She also taught architecture at a community college. At G&HA, her area of focus is on large government and higher-education projects using traditional classical architectural elements. In practice for over 25 years, with projects all over the country, Winnie’s expertise includes project management, project design, site planning, construction document preparation, presentation drawings and renderings, coordination of architectural and engineering disciplines, construction administration and quality control, review and development of specifications, shop drawing review, agency permitting, building/life safety code analysis, ADA compliance, and LEED AP coordination. In her current role at G&HA, she ensures regulatory compliance in the contract plans and specifications. She is licensed in Virginia, California, North Carolina, Washington, DC, and Florida. A production tools specialist, Neil Walls has served as a Project Architect and Project Manager on projects ranging from campus residence halls and recreation facilities to libraries and science centers. At Glavé & Holmes Architecture (G&HA), he was Project Architect on the LEED Gold College of Business and Economics at Radford University. Neil also contributed to the master plan and design for the Greek Housing Village on the campus of Christopher Newport University. In his roles as Project Architect/Project Manager and the Director of Technology at G&HA, Neil’s dual leadership position is unique. His management and technical skills combined with years of design experience provide the base from which to guide the technological direction of G&HA’s dynamic design process. Robert Bryant became the Director of Finance at Glavé & Holmes Architecture after serving in a consultant role for the firm for several years. 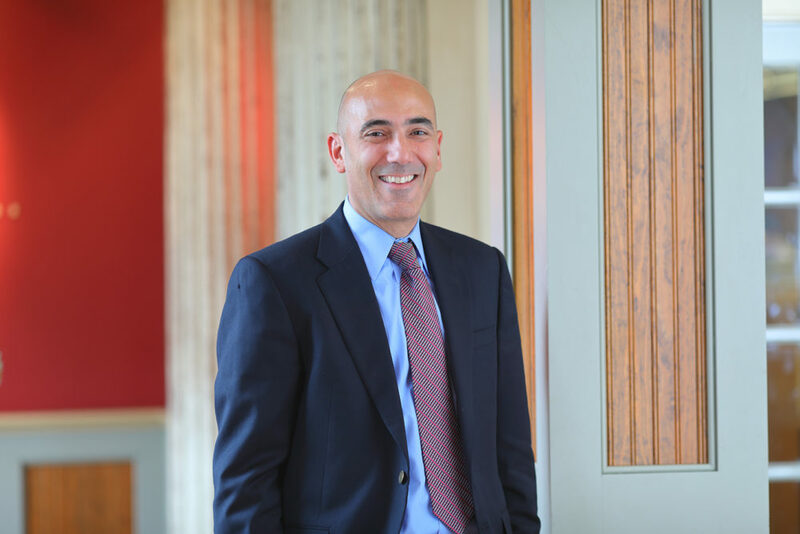 His unique experience in both the A/E/C and Financial industries has provided him with the skills needed to help manage the firm’s financial wellness. Born in Japan, Bob has lived and worked in four countries and 12 states. He grew up drawing inspiration from his parents who, in spite of living through several world wars, were able to maintain perspective and hope. Motivated by his upbringing, Bob pursued a Bachelor of Science in Engineering from the United States Military Academy and went on to study at the Florida International University. After holding various leadership roles in manufacturing and financial companies, Bob worked with Glavé & Holmes as a business consultant for several years. 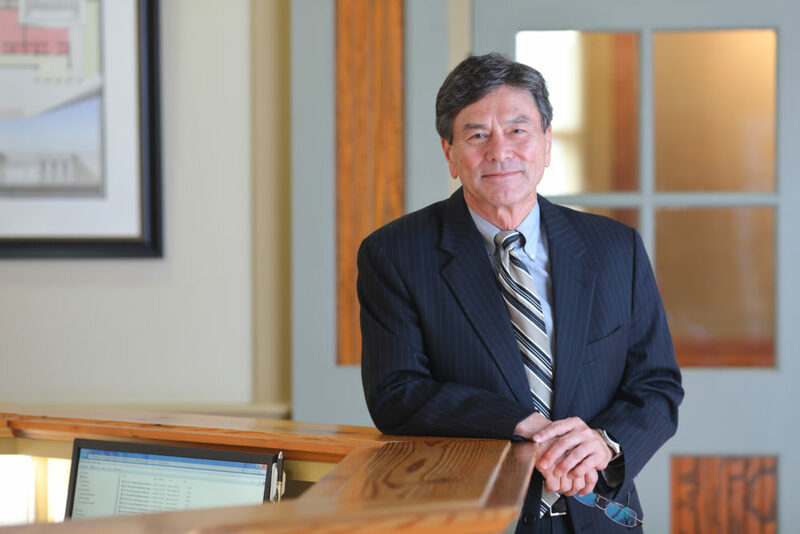 As the President and CEO of HC Yu and Associates, he provided engineering design services for several of Glavé & Holmes’ projects and gained an appreciation for the firm’s mission and vision. In 2015, Bob came to work here full time and cites his coworkers as one of the main reasons he enjoys his job. “They are people of character,” Bob says. When he is not working, Bob enjoys exercising his mind and body through painting, practicing yoga, and spending time outdoors.